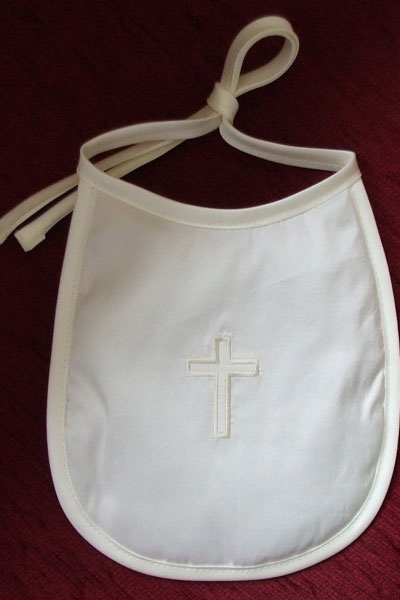 Small silk bib, edged in satin with a simple embroidered cross. Available in white and ivory. 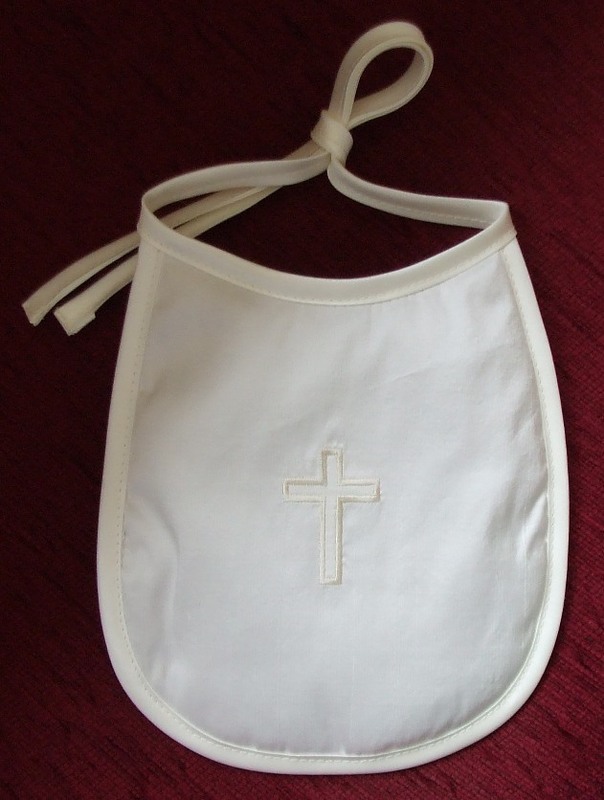 This item can also be personalised with baby's name and date of Christening at extra cost.